Face it the day after Halloween is a challenge! So if we have to go to school we may as well make it a fun day. 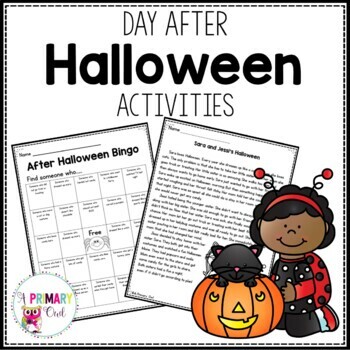 This packet contains activities for your students to help you get through the day. 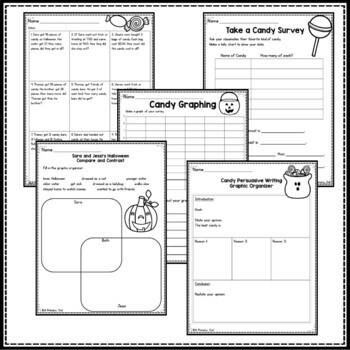 Each student brings in once piece of candy to sort, there is a persuasive writing graphic organizer, a graphing and sorting activity as well as a guessing jar. Stop dreading the day after and enjoy it!